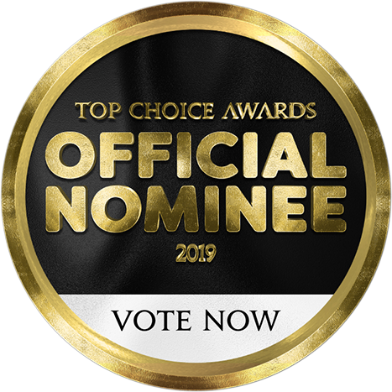 Top Choice Award winner, Top Edmonton Injury Law Firm 2014 to 2019. We are an Edmonton personal injury law firm with 50+ years of experience helping injured people obtain fair compensation. 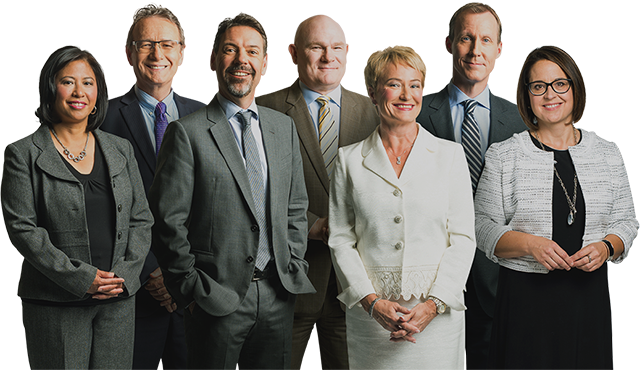 In addition to being counsel in two Supreme Court of Canada cases that set the current precedent for how personal injury damages are assessed in Canada, we are the Top Choice Award Winner, Top Edmonton Injury Law Firm 2014 – 2018. Call Our Experienced Lawyers for Your Free Consultation. I received professional service with a caring and understanding attitude to complete my claim. Such an ethical firm and a tremendous help. Definitely recommend! Jean help me through a really difficult time in my life. I would definitely recommend her and the firm. Ms. Oliver walked me through every step, with a professional attitude. She was always available to explain the process and instilled confidence in my judgement. Ronald Jewitt was a pleasure to deal with! He was very patient and understanding. He represented us and our case very well. Thanks Ron! Fran is a kind and caring person. She worked hard to help my family and me. Thank you for the excellent service! Everyone I encountered when I was into the office was very friendly. Fran is a wonderful lawyer who made sure my needs were taken care of. I felt like the team at CAM LLP stayed on top of my case and made sure it kept moving along smoothly. I highly recommend them. Ron and his team were accommodating to meet with. I felt they did what was best in my situation and were honest in explaining steps. I appreciated their candor and experience when dealing with the insurance company. I was never pressured and felt they where only there to help me in the best way possible. Our firm was lead counsel in the Supreme Court of Canada case that determined how personal injury damages are assessed. Our lawyers each have 20+ years of experience and are committed to helping seriously injured people get fair compensation. We do not overload our lawyers with cases and, as a result, we can give your case the individual attention it deserves. Our years of handling serious injury cases mean that you can be confident that we will consider every possible source of compensation for your injuries. We are friendly, caring people who take great pride in dealing directly with our clients from initial consultation through to the resolution of a claim – you will not be handed off to a junior lawyer. When you call with questions about your claim, we respond. We take the time to listen to your story so that we can explain your options and fully answer all your questions. At each stage of the claims process, we will make sure you have the information and advice you need to make informed decisions. We stay in touch with you throughout the claims process to monitor your recovery, make sure you have access to appropriate treatment, and keep you up-to-date on the status of your claim. If you have questions as your claim progresses we are happy to answer them. We have a reputation with insurance companies and their lawyers, for attention to detail and advancing our clients’ claims quickly and effectively. When it comes to negotiations, our focus is on getting a fair result as efficiently as possible so that you can get on with your life. From the first free consultation, through filing your claim, gathering evidence, settlement negotiations, and (only if necessary) trial, we will guide you every step of the way. Schedule a free consultation with us. We’ll listen to your story, tell you whether you have a case and outline your options. Once you know you have a case, you can retain one of our personal injury lawyers to begin the claims process on your behalf. From here on out you can focus on your recovery and we’ll do the rest. If we take your case, you don’t pay any legal fees or expenses until we successfully resolve your claim. Ultimately, if you don’t make a full recovery from your injuries, we will arrange for you to be assessed by all necessary medical experts to ensure that your injuries are properly assessed and to help determine what short and longer term compensation is appropriate. Your Lawyer will file a Statement of Claim on your behalf within 2 years after your accident. This is a legal notice to the party at fault that you are taking legal action against him or her. Settlement Negotiations are discussions between your lawyer and the lawyer for the insurer of the person responsible for your accident. This usually starts with a written proposal by your lawyer, but it can also take the form of a settlement meeting. Either way, the intent is to address your expected damages and compensation claim. This is a process where both the plaintiff (you) and the defendant (the party at fault) disclose all the evidence about the accident to each other to help clarify the facts of the case. This takes place in a boardroom at your lawyer’s office in the presence of a Court Reporter. You will be asked questions under oath by the defendant’s lawyer, and your lawyer will also have the opportunity to ask the defendant questions under oath. If your lawyer and the lawyer for the defendant insurance company are unable to negotiate a settlement, steps are taken to involve an independent third party to assist the parties in trying to reach a settlement. In a Judicial Dispute Resolution (JDR) an actual Judge is involved and in a Mediation, a senior lawyer who is also an experienced Mediator is involved. If an appropriate settlement can be reached, then you sign a document accepting the terms and agreeing that you have no further claims. In most personal injury cases in Alberta, the parties can reach a fair settlement without the need to go to court. In rare instances, your lawyer may advise that you have a better chance of receiving adequate compensation if you take your claim to court. In these cases, your lawyer will take your claim to court and argue on your behalf. Trial dates are set by a Trial Coordinator, and no trial dates can be set until the parties can show they have made a good faith attempt to settle the claim. In cases where one or both of the parties feel that the Trial Judge has made an error of law or fact in his or her judgment, the decision of the Trial Judge can be appealed to the Court of Appeal and possibly to the Supreme Court of Canada. This is very rare, but if it does happen your lawyer will be able to guide you through the appeal process. Get a free consultation. We pay all necessary expenses. Disclaimer: The use of the Internet or this form for communication with the firm or any individual member of the firm is not secure and does not establish a lawyer-client relationship. Confidential or time-sensitive information should not be sent through this form. Learn more about confidentiality here.